President Barack Obama presents the Medal of Honor to Staff Sgt. Salvatore Giunta of the U.S. Army Tuesday in the East Room of the White House in Washington, D.C. Giunta is receiving the Medal of Honor for his courageous actions during combat in the Korengal Valley, Afghanistan in October 2007. 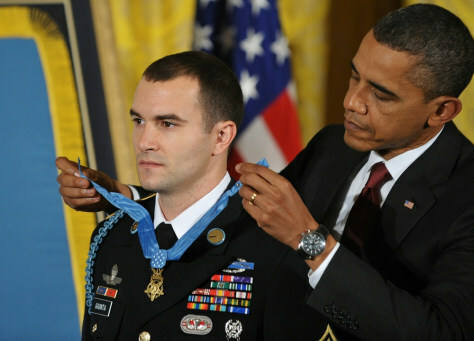 Giunta is the first living recipient of the Medal of Honor since the Vietnam War.